I was in the mood to make another Onigiri after the last one turned out really well. 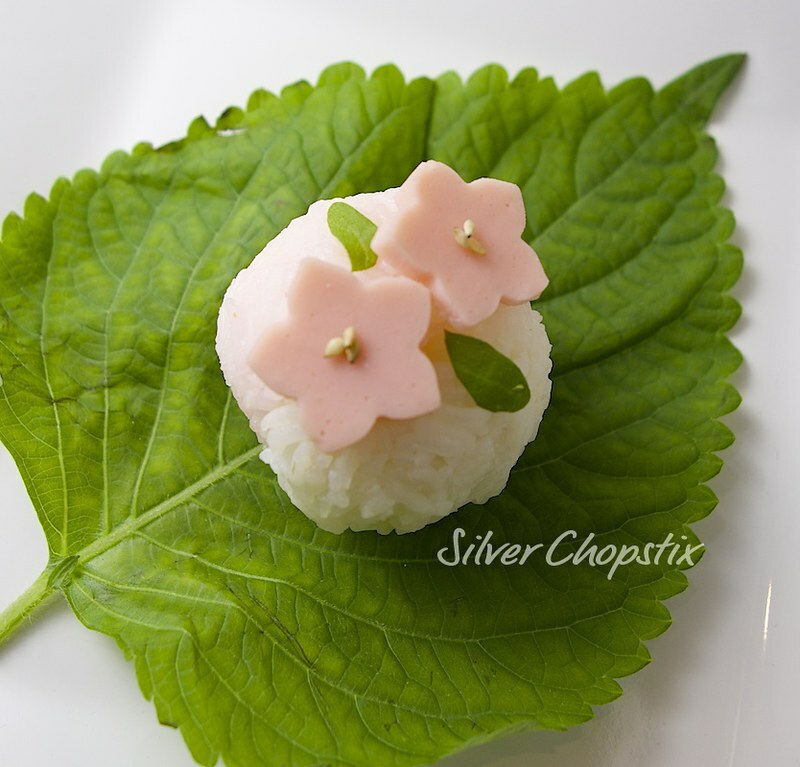 I did another Spring themed onigiri since the past few days have been really warm and sunny. 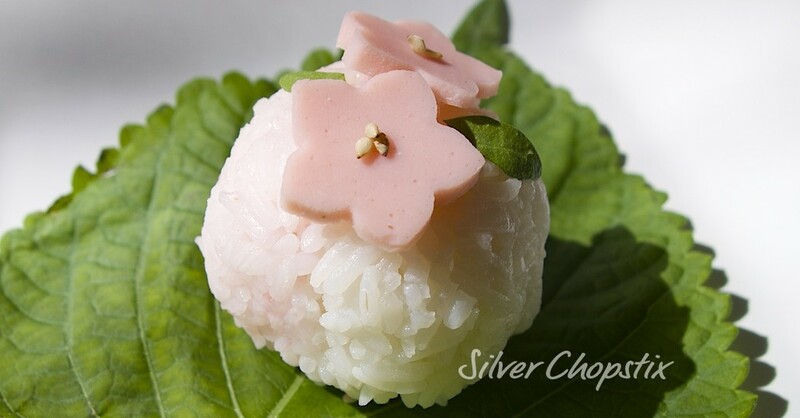 This time I added sakura denbu to half of the onigiri ball while the other half remained to be just plain rice. 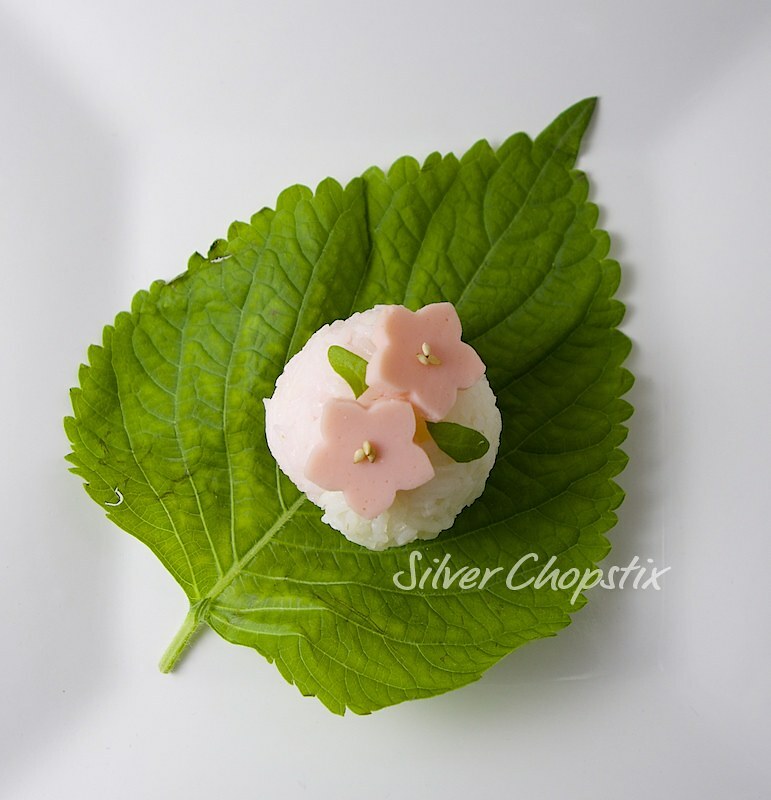 Like before I used a plastic wrap to create the rice balls. 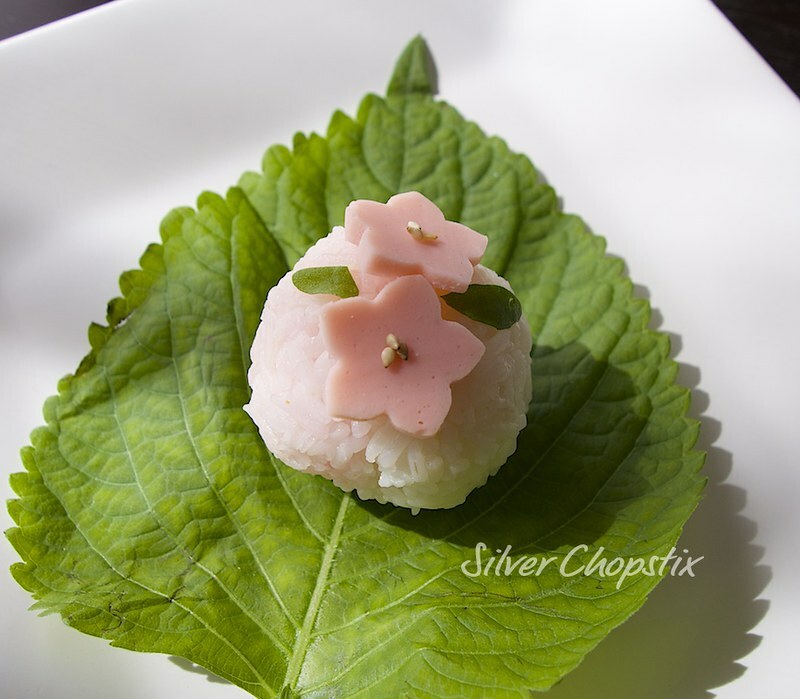 I then decorated the top of the onigiri with flower cut outs from fish cake and sesame seeds. 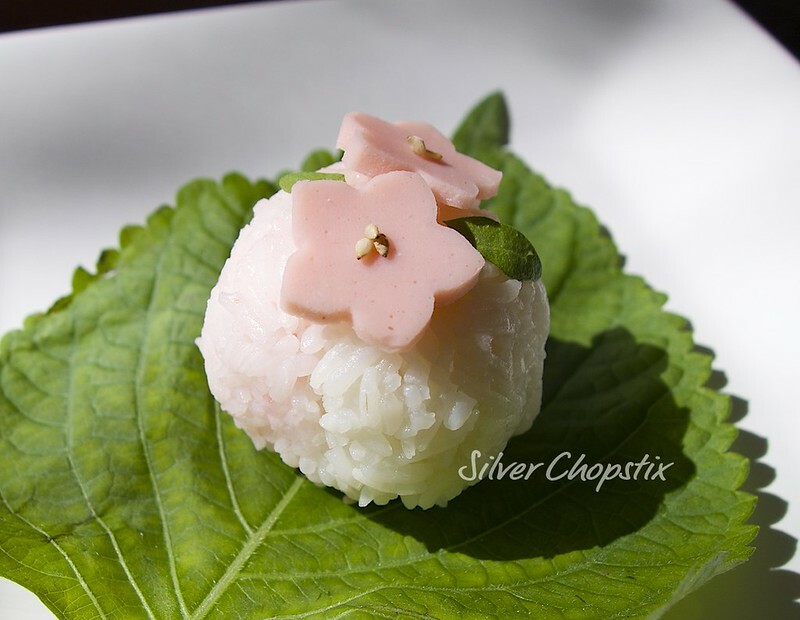 Using fish cake is entirely optional, you may use ham, bologna or salami. I just find the color of the fish cake to be more vibrant than the ham from my local deli. I added arugula to make tiny leaves.